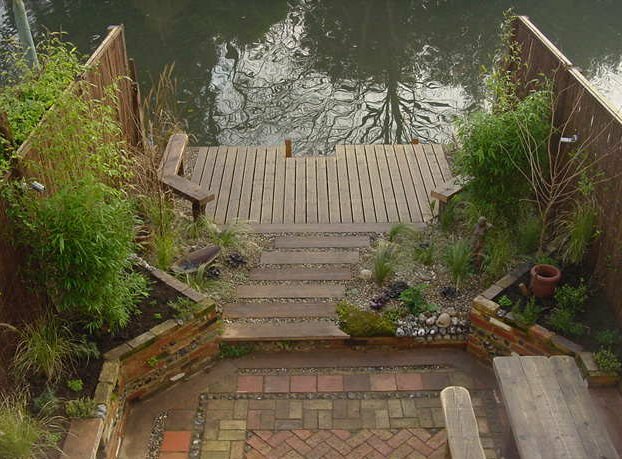 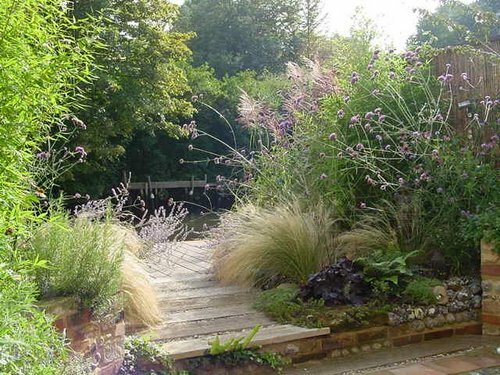 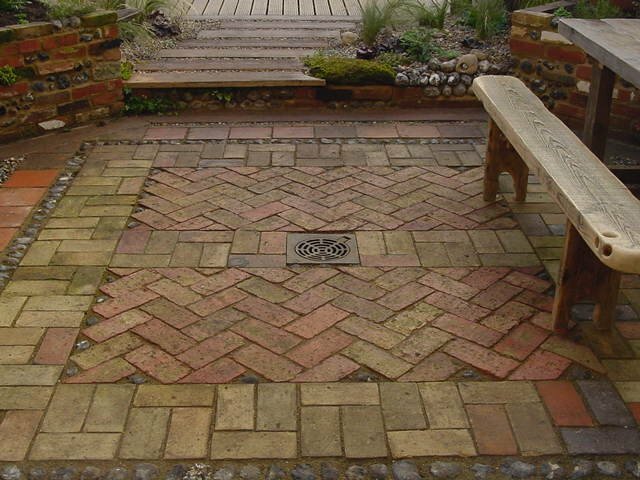 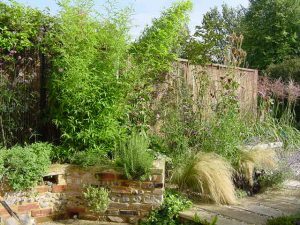 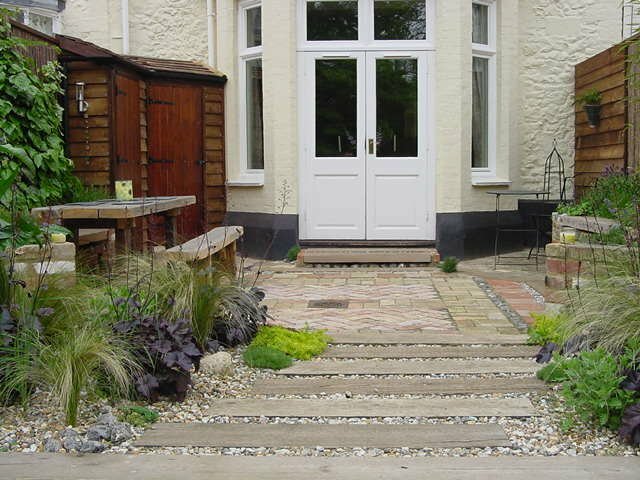 This riverside garden in Thorpe St. Andrew started life as a small expanse of concrete paving. 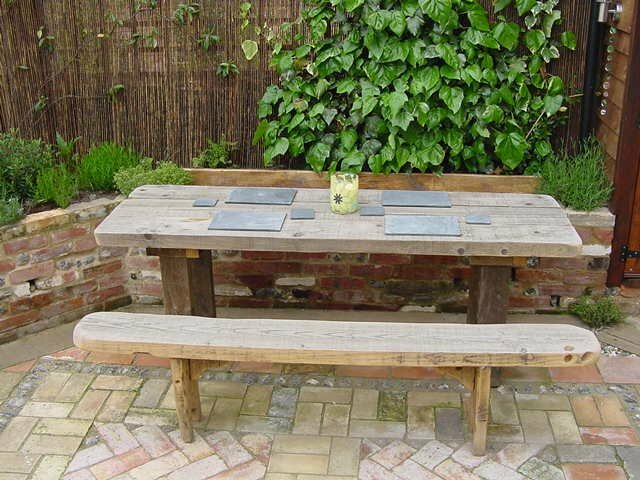 Clever design has incorporated a bespoke shed (built to fit around a corner), a patio of reclaimed floor bricks and flints laid in a herringbone pattern, a timber path, a wooden deck & a variety of seating options whilst creating plenty of space for plants. 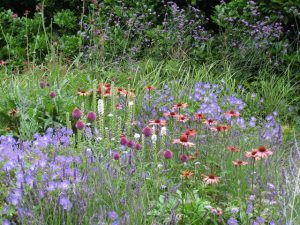 The planting gets more reed-like as you approach the riverside and frames the view of the river without closing in the space. View of the finished garden – hold your mouse over the picture to view the garden before construction.